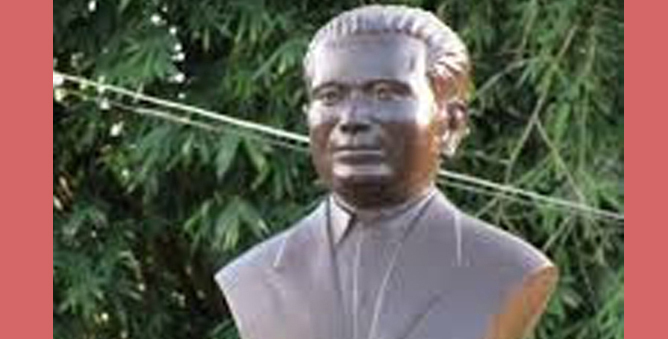 Assam Chief Minister Sarbananda Sonowal on Thursday announced that the State government would take steps to establish a samannway kshetra and museum in the memory of Jananeta Bhimbor Deori at Bihpuria in Lakhimpur district. Land allotment for the purpose would be done by the district administration in consultation with the All Assam Deori Students’ Union. This assurance was given by Assam Chief Minister Sonowal on Thursday during a meeting with a delegation of the All Assam Deori Students’ Union (AADSU) at his office in Janata Bhawan. During the meeting, Assam Chief Minister Sarbananda Sonowal also announced that the death anniversary of Jananeta Bhimbor Deori on November 30 would be celebrated by the State government. During Thursday’s meeting MLA Mrinal Saikia, president of Deori Students’ Union Pranjal Deori, General Secretary Sanjib Deori were present along with other officials, said a CMO press communique. It may be mentioned that Jananeta Bhimbor Deori played a major role in saving Assam and Northeast from inclusion in East Pakistan during partition. Every year, the death anniversary of Jananeta Bhimbor Deori is observed on November 30 across Assam. Last year, to mark the 71st death anniversary of Jananeta Bhimbor Deori, the Jananeta Bhimbor Deori Memorial Celebration Committee organized a seminar in the city under the chairmanship of noted writer Dr Anil Bharali. Announcement of a samannway kshetra and museum in the memory of Jananeta Bhimbor Deori is a good news for the Deori community. Recently Assam Chief Minister Sonowal announced to build a state level museum in the honour of first ruler of Matak Kingdom, Sarbananda Singha at Chabua in Assam’s Dibrugarh district, which will showcase the cultural, social, historical and spiritual heritage associated with the Matak community.